A rookie cop is transferred to French Guiana where she must team up with a local detective to solve the brutal murder of a couple and the kidnapping of their son in four-part drama Maroni (Iskander). 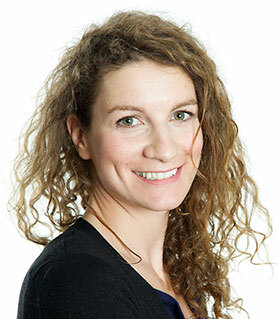 Mademoiselle Films producer Aurélie Meimon tells DQ six things we need to know about French miniseries. 1. Iskander is the journey of Chloé, a young, fresh district cop who is sent to join an investigation unit in French Guiana. She comes from France and doesn’t know anything about her new home. When she gets there, she meets her dark and mysterious partner, Dialo. He doesn’t take her seriously but they have to work together quickly because a couple have been murdered and their son has disappeared. Iskander is a dive into the mysticism and specificities of this territory from the point of view of a French girl who thinks it is just another part of France. She discovers that this isn’t the case. Her perspective of life will be changed through this investigation, which starts in the capital city of Cayenne and ends up in the heart of the rainforest. 2. Working with Love My TV producer Noor Sadar, we wanted to explore French territories and French identity, and to question what French culture is and what it means to be French. So it’s interesting to explore that through a territory that belongs to France but is 4,000 miles away. We thought we could talk about France but not directly. As a crime story, the narrative moves very quickly and we can talk about communities and how you can be culturally different but still belong to France. 3. I’ve read books by Aurélien Molas and was a fan of his style, so we contacted him and asked him to think about writing a crime story set in French Guiana. He came back with the idea of a rookie cop teaming up with a partner and discovering life there. We talked a lot with Aurélien about the story, the style of the series and who the main characters would be. We made a series bible and gave that to Arte. They were very excited by the project so they commissioned it. We then took Aurélien straight to French Guiana because we knew we had an ‘Arte budget,’ which is a bit less than it would be at one of the big networks like TF1 or France Télévisions. We took Aurelien to the territory so he could build a story that fits with the reality, the locations and our production boundaries. We wanted him to immerse himself. You can’t imagine what it’s like – nature is everywhere. 4. Everything was shot in French Guiana. We partnered with a local producer and built a village inside the forest to keep it very organic. We had seven weeks of prep before shooting and 33 days in production – and when you’re shooting in the forest in 39-degree heat, it’s complicated! But we had a fantastic team. We designed the production to avoid the rainy season so we didn’t get so much rain, and shot in small villages where people had never seen anyone from TV or anyone from France so we had to be careful and respectful of that. It was a very exciting adventure. 5. Casting came very easily. The director, Olivier Abbou, knew he wanted Stéphane [Caillard] as Chloé and Adama [Niane, pictured top] to play Dialo. The great thing about Arte is you can produce very different fiction from other networks, and that means you can have the actors you want because they are often excited about shooting for Arte. We organised readings beforehand and they worked on the script with the director. We wanted them to immerse themselves in their characters. 6. 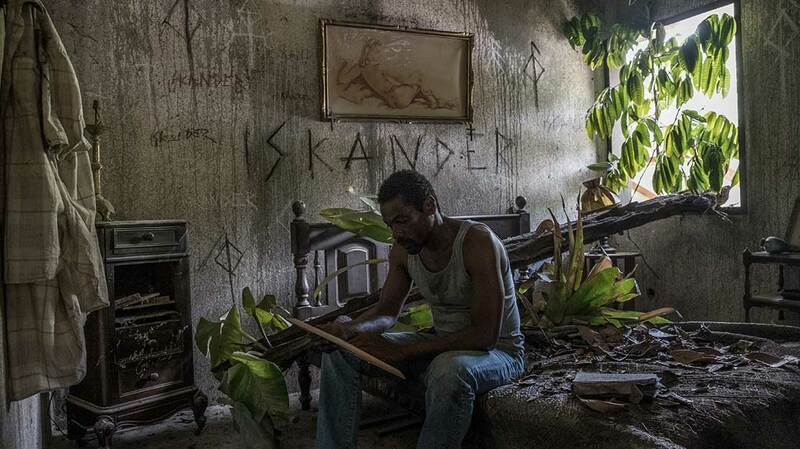 Produced by Mademoiselle Films and Love My TV, Iskander is a four-part miniseries for Arte, airing in early 2018. We chose Lagardère as our distributor because we wanted to do a premium show that could travel. We wanted to do something bold and different from other French productions.